The last weekend of September has been known as a “religious pilgrimage” for Volkswagen and Audi enthusiasts, but these recent years has change it to include the vast spectrum of the automotive world. This “religious pilgrimage” is called H2O International aka H2Oi in Ocean City, Maryland. Automotive enthusiasts from all over North America and the world converge on this city to enjoy their passion for all things automotive with their friends. Some of our MF friends met up during H2Oi for a quick meet and greet, which turned into a quick photoshoot by Max Friedman. 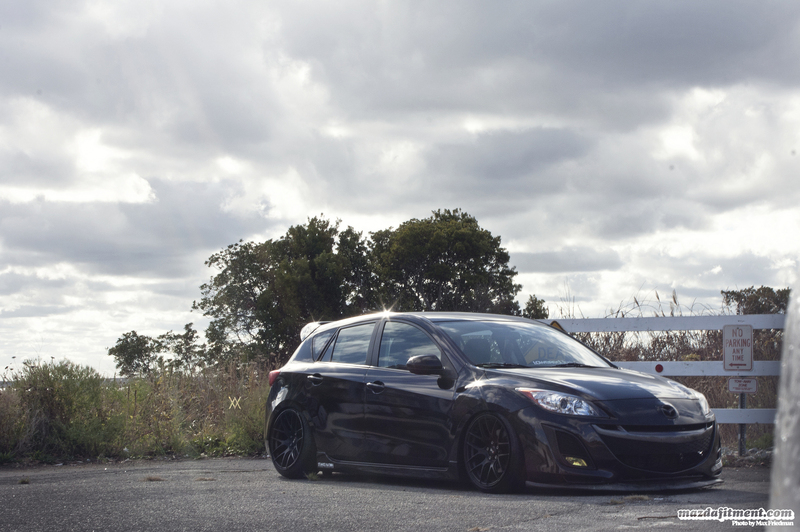 Blacked out generation 2 Mazda 3 owned by Scott Mackay. Slammed on XXR 530. White on Velocity Red Mazda 3 sedan on MB Battles owned by Charles. 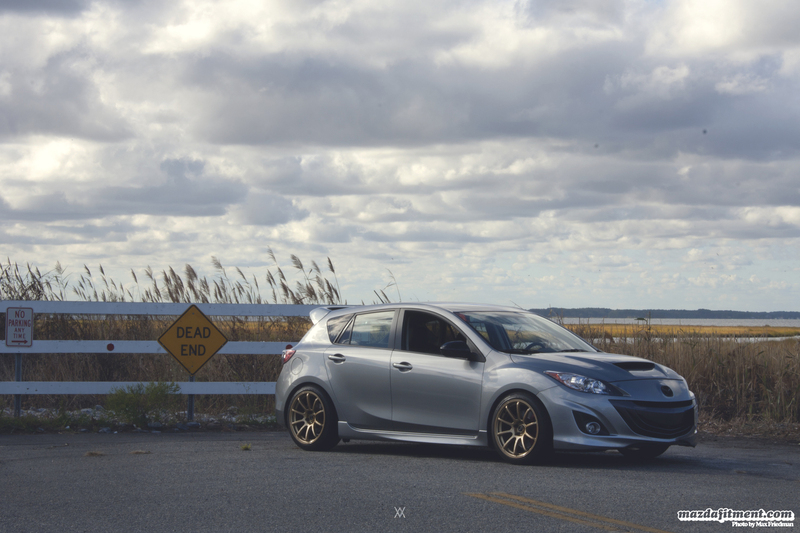 Generation 2 Liquid Silver Metallic Mazdaspeed 3 on Rota G-Forces. 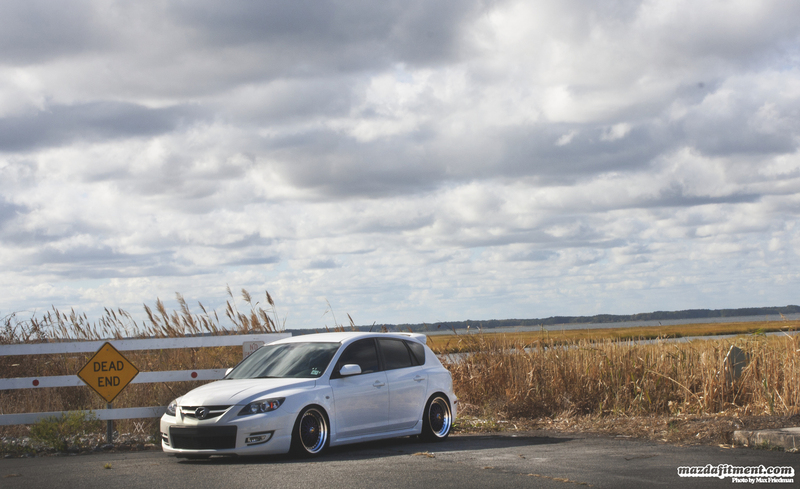 Rick’s Crystal White Pearl Mica Mazdaspeed 3 on a set of mesh wheels. 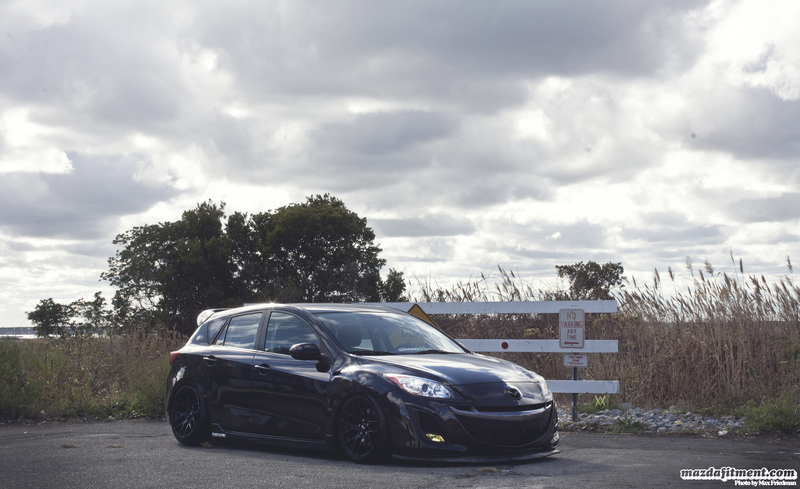 Kevin Ehm’s Black Mica Mazda 3 sedan on Zauber Crazers wheels. 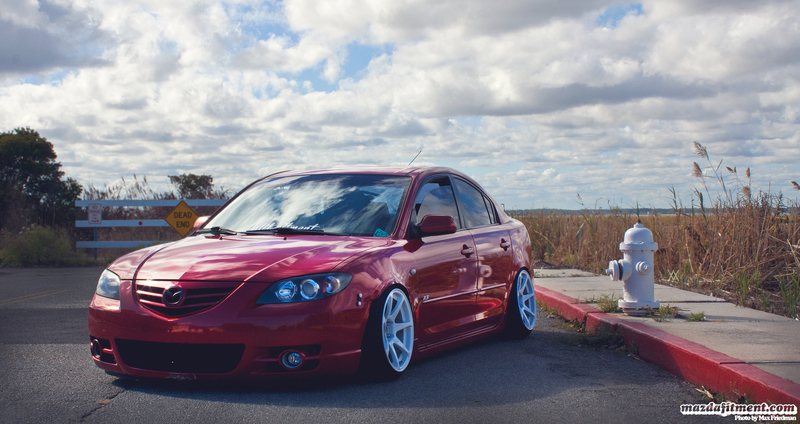 Kevin is a veteran here on Mazda Fitment. Thanks to Max Friedman for sharing these photos with us. Maybe next year we can setup a Mazda Fitment meet over at the H2Oi weekend to get everyone together. If you want to check out more, there are a few more images in the gallery below and more on Max’s Flickr. Enjoy. 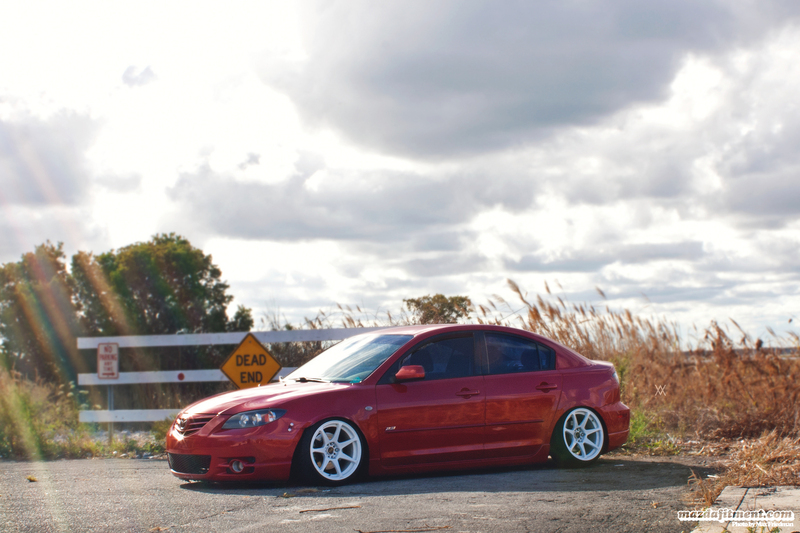 I have an 07 mazda three stanced on raceland coilovers. I was wondering what a good rims size would be full for fitment. I wanna go some around 16s or 17s? Can you help me out?